Dark blue is the color of royalty: a mix of blue and red. These color combinations are inspired by royal traditions of India. This is made in 100% pure New Zealand wool. - Wow, really very attractive and " One of a kind" handmade carpet. - This is made in pure wool and handcrafted by our talented craftsmen. - It has taken about 7-8 months to weave this unique pattern. - The design is "Isfahan". 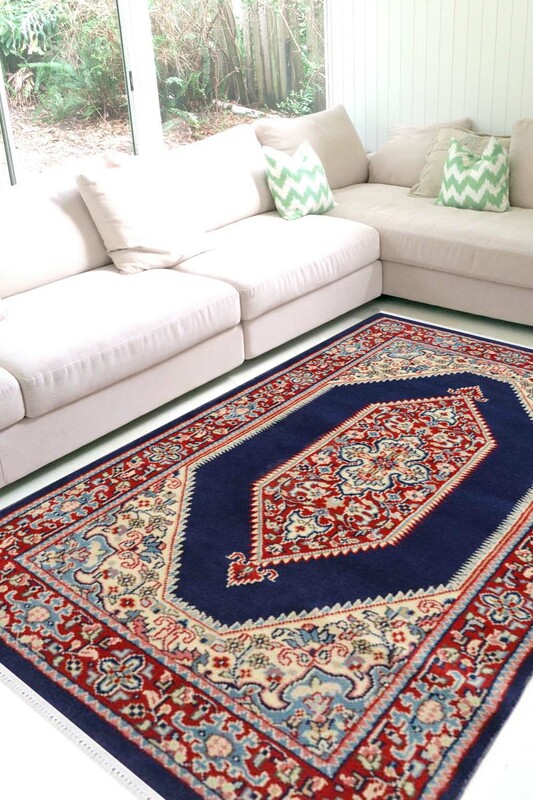 This design is originated from Isfahan country which is very famous for carpet production. - It has a beautiful diamond shape in the center with the plain diamond ground. Due to the plain ground, the design is clearly visible. - This carpet is 100% washable rug. It has a beautiful zig zack border on center diamond shape.